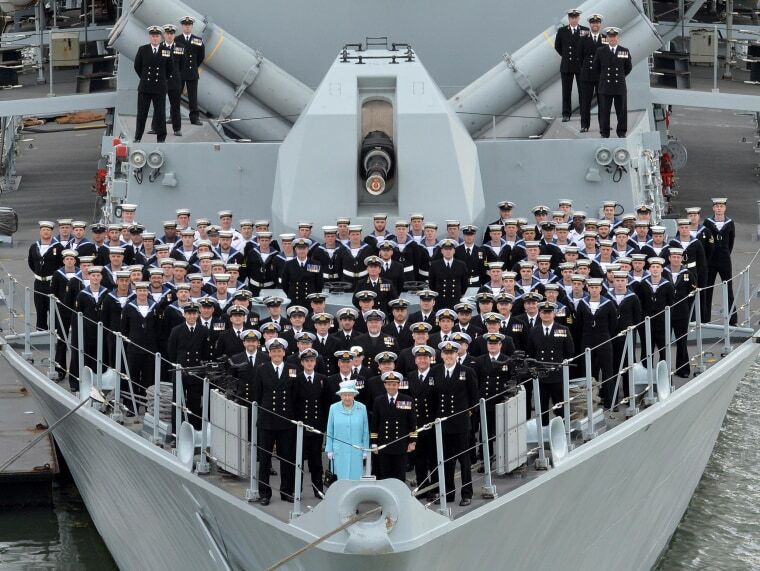 Queen Elizabeth II paid a visit to one of the British Royal Navy's flagship vessels Tuesday, joining the entire ship's company for a photo on the upper deck. HMS Lancaster (the letters stand for Her Majesty's Ship) was originally launched by the Queen in 1990, and according to Britain's Ministry of Defence (MoD) she has taken a keen interest in its work ever since. The Queen lunched on board in the ship's hangar and spoke to crew members about their deployment to the North Atlantic and Caribbean Sea last year, where they seized 1.2 tonnes of cocaine and almost 1.5 tonnes of cannabis and detained 23 drug-runners, according to the MoD.